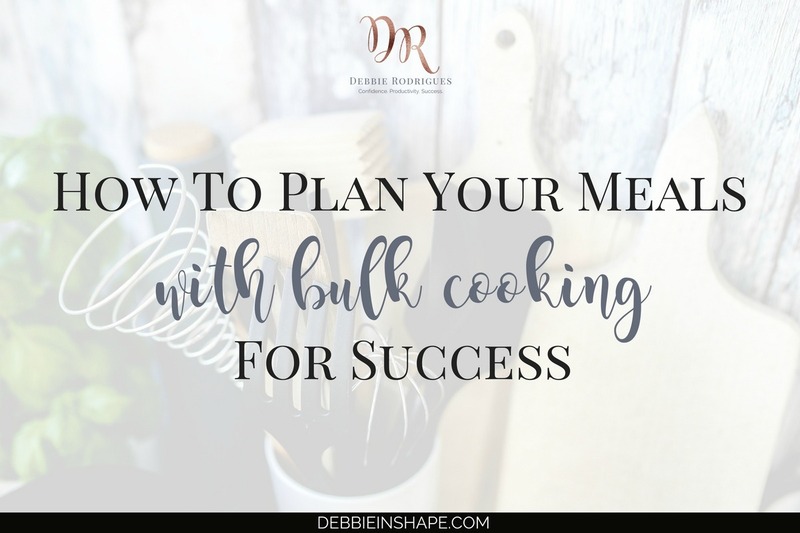 Planning is also your best friend when it comes to your intake. 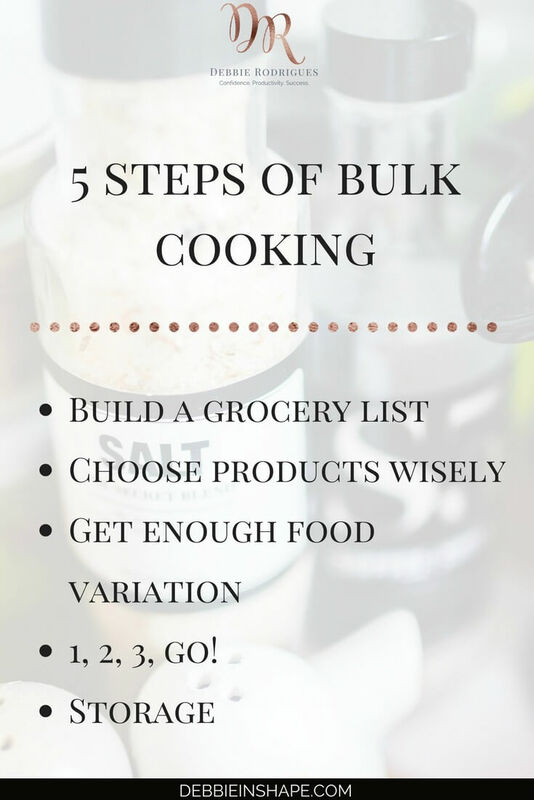 Bulk cooking is the best way to stay on track without added stress. I participated in Bikini competitions in 2012 and 2013. One of the things fitness and bodybuilding athletes are known for is the food. Most of us bring our meals along no matter where we go. I do it even for family celebrations when in contest preparation. It’s ideal because I know what I’m eating, and I have the food I need at hand any time I want it. I cannot imagine not finding a decent place to eat when the hunger hits hard. MY GAINS!!!! So on this post, I’ll be sharing some tricks I have learned the past years. You’ll see that even a can’t-cook like myself is able to get things done. Why did I use the word “build” instead of “write down“? I prefer to have my list close by the whole time. We do the groceries weekly on Friday evenings. Generally, I get home from my workout and my boyfriend and I rush to the supermarket (the opening hours in Belgium are REALLY limited). In other words, I never have time to check cupboards before leaving home. So to make sure I have everything I need, I write them down (or add to a shopping list app) as soon as I notice I am low on some product. Personally, I have a ‘stock-up’ mentality. I never wait until a product is completely over to get a new one, mainly the ones I consistently use. If I realize that I won’t find all the goods that I need in that shop, I already plan a visit to another market on Saturday. It is all about planning, remember? Not always the most expensive is best or the cheapest, worst. Learn to read labels, understand ingredients and start to select products by what they’re and not by what brands want you to believe. I’m not going to get into dietary matters. Some follow very strict diets, others IIFYM; some are meat-lovers, others are vegans. It’s something you choose for yourself. It gets harder if your issue is related to allergies or intolerance. For example, I have gluten and lactose intolerance. So, it isn’t because it says “rice cake” on the package I can assume it is gluten-free. Oats, for instance, are frequently packaged in ‘gluten contaminated‘ environment. Unless you carefully read the labels, such details might pass by unnoticed. Larger quantities don’t always imply lower costs. Be attentive to the price per kg, lb, liter or ounce when choosing brands. For quite some time, I used to eat exactly the same meals for a certain period of time. Personally, it didn’t bother me it at all. I had favorite dishes I looked forward to and I knew what to expect when they weren’t exactly the most delicious ones. Even though the diet served its purpose and taught me a lot about getting organized, I prefer now to vary things as much as I can. It isn’t in my nature (I could eat oatmeal all day long), but the trick behind food variation is nutrient variation. That’s what you must aim for! It isn’t as simple as saying this food is good and that one, bad. Each vegetable, fruit, grain, dairy product, and meat has specific nutrients that our body needs in more (or less) quantity. If you limit yourself to just a handful of choices, your diet won’t offer you everything you need. You can find excellent charts online based on the color of the vegetables and food classification. It is never too much to read about the subject. When cooking in bulk, I like to start with everything that goes in the oven. While the oven is warming up, I get the food prepared and when it is cooking, I can already start something else. Since our kitchen is small, I leave greens and other ingredients to steam for last. While they’re steaming, I do the dishes and put away things. 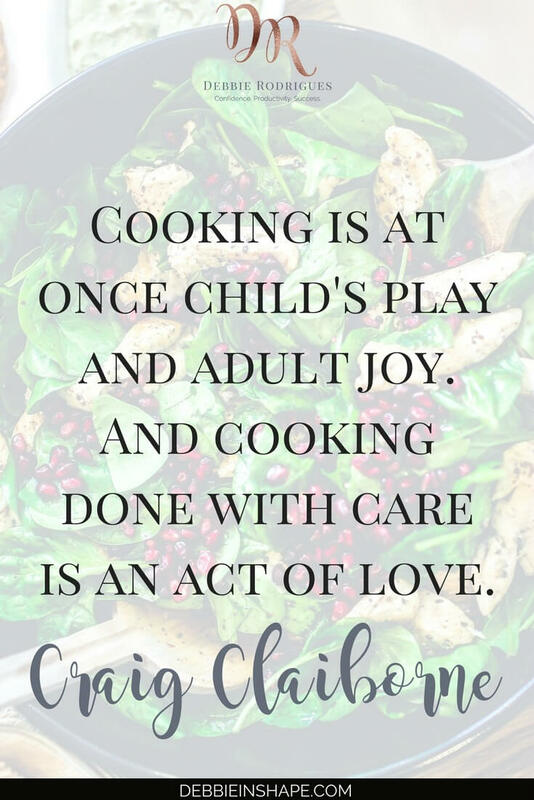 In general, there’s very little to do once all food is cooked. I must warn you that cooking isn’t my specialty at all! I am a can’t-cook under development. I don’t have the brains of a chef, so every little detail needs to be explained, or I miss the point. So even if you’re like me, there is hope. The Internet is a life savior for all those complicated terms and you can find references of herbs and spices combination quite easily. Take one step at a time and you will get there! After food is cold, it is time to pack it. I weight and label the ziplocs I use. Yeah, I use ziploc instead of containers to save space (small kitchen = small freezer). In the fridge, I only keep the meals for the next 2 days. The rest, I place in the freezer. In the evening, when I organize my things for the next day, I also grab what I’ll be taking with me to work. I use a 6packbags Voyager backpack every day to bring my food with me. I have to admit it’s huge and quite heavy, but since I go by car and walk just a little bit, it’s worth it. Some people get scared by the idea of having their food prepared in large quantities in just a day. There are those who think it’s way too much or others who just cannot see it happening. In my case, I had a real hard time in the beginning, but it got easier and easier each week. I would not know how to do it any different anymore. 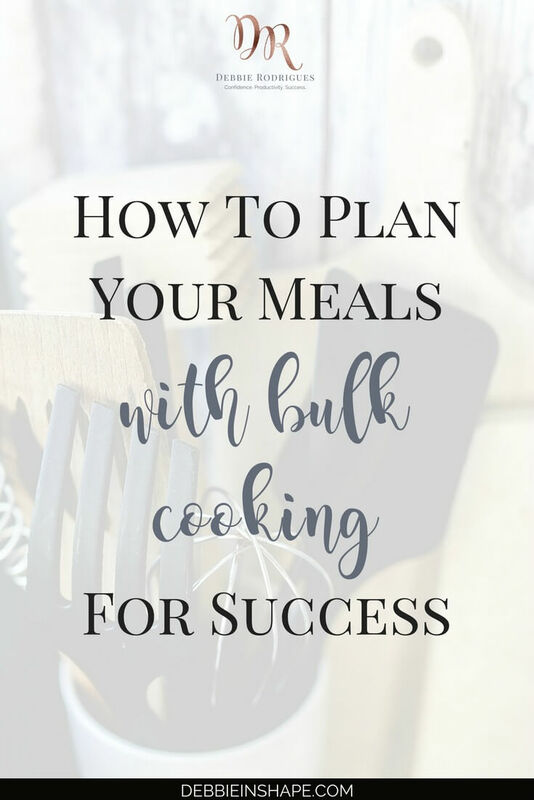 How do you get your meal planning done? NOTE: Even though I wrote this article in 2014, the topic is still relevant. That’s why I decided to make some small changes to the original text and republish it.